Summer: Enjoy the amenities of the resort Pine Mountain Lake including being able to walk to a beach. ​We still keep the low affordable rate of $130 a night (holidays more.) Three night minimum stay for the summer. 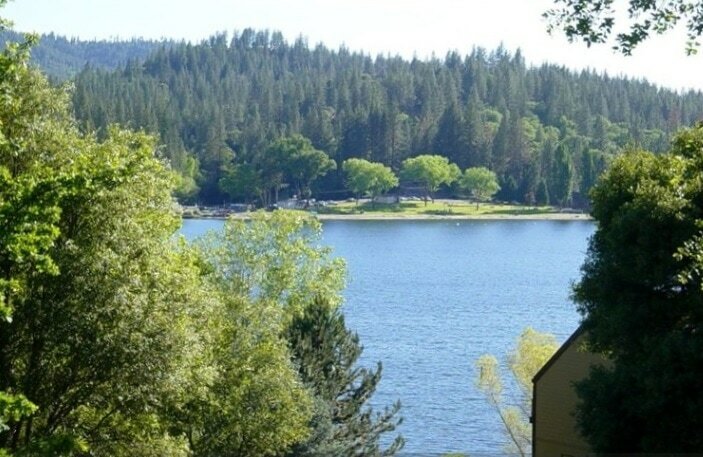 Spring and Fall: Enjoy visiting Yosemite without the crowds and still enjoy some of the amenities of Pine Mountain Lake. The off season rate is $125 a night with a two night minimum stay. We are closed December to March. Our house is ideal for families with up to 8 people. 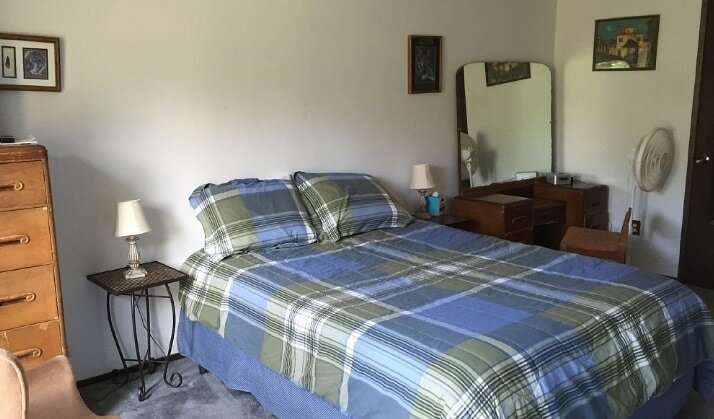 The downstairs has 3 bedrooms, 2 large bedrooms with a queen bed in each and one with double bed. The master bedroom has the 1/2 bath and opens out the the side yard. The other large bedroom opens up to the back yard. Upstairs are 2 lofts with a single bed in each. The living area has the large open concept. There is a large Great Room with lots of room for entertainment. The fully equipped country kitchen is supplied with about everything you need except the food. Off the kitchen is the dining/playroom area with many games, puzzles, TV and DVD player. Outside you will find landscaped yard on 2 sides with 2 gazebos, lounge furniture, eating tables and a gas BBQ grill. One side has sand where you can play games. There is a front porch with a swing. There are 3 TVs hooked up to cable, 2 DVD players (many DVDs are there for you to use) loads of games and puzzles, books and CDs. Also with the house are many balls, games, sand toys, and other play equipment for your enjoyment. We are within walking distance of a playground, the summer water taxi rides, a beach, a hiking trail and the tennis courts. The house has free wireless and is furnished with a washer and dryer for your convenience. Stay in this very comfortable house that receives many great reviews from our renters especially about the deer that graze in our yard. 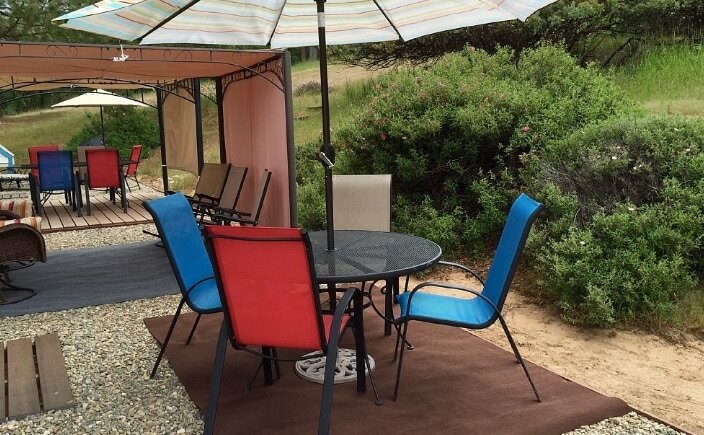 Rent lovely 'Kinane Kabin' and enjoy many of the amenities of Pine Mountain Lake. The house, is less than a block from tennis courts, children’s playground, a hiking trail and Fisherman’s Cove which is one of the lake’s water taxi stops. want to swim? One of three beaches is within walking distance. Two other beaches are easily reached by water taxi from this beach or fisherman’s cove. Also available for your enjoyment is a scenic 18 hole golf course, a swimming pool and horseback riding at the stables. 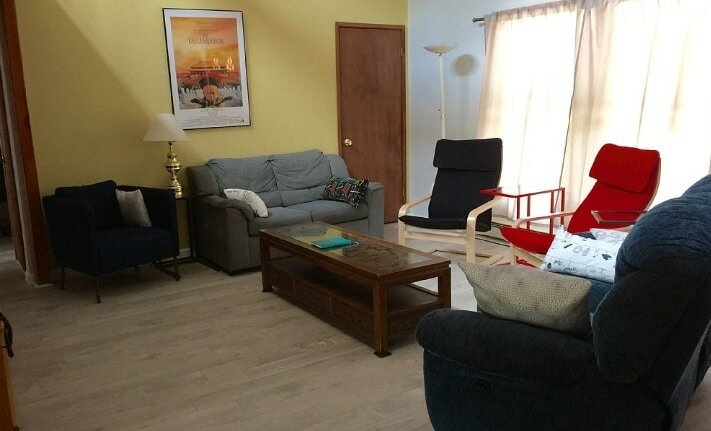 The 3 bedrooms, and 2 lofts provide plenty of comfortable beds for your family. The country kitchen, great room and dining/game room are very spacious making the house perfect for large groups. There are 3 TVS, 2 DVD players, and wireless Internet. Many DVD's, puzzles and games are provided. The large deck goes around 2 sides of the house and has a gazebo plus plenty of eating areas. This eco-friendly solar house is equipped with solar power, a back-up passive solar hot water heater and an evaporative cooler that will keep you cool during the summer heat. Want to take trips? Yosemite gate is 30 miles away. Go see Yosemite falls, Tuolumne Meadows, or Glacier Point and make it back for your evening meal. Or maybe you would like an old gold rush town? Columbia state park is 32 miles away, there you can ride a stage coach, pan for gold, and eat some candy made in an old fashioned candy store. Like to gamble? Black Oak Casino is about an hour away. Play the slots, have a great meal or even enjoy the bowling alley with your kids.